With 20 years of experience in South Florida, we have ranked consistently as #1 in Weston for units and sales volume for the past Eleven consecutive years. We rank in the top less than one-half percent of all NRT Coldwell Banker agents in the nation. For the third consecutive year, The Sklar Team has achieved the coveted Society of Excellence Award. Only 17 teams nationally, out of 91,000 realtors, have achieved this stellar status. In 2017 we were recognized as the #5 Coldwell Banker Team in Residential Rentals in the nation. Other accolades include The Florida 100 since 2006 and the Legends Society designation from 2010-2015. Personally, I was selected to be a member of the prestigious Master Brokers Forum, consisting of the top performing agents in Broward County. We attribute it all to hard work, honesty, integrity and loyalty. We provide personal boutique-style service to our clients, backed by the power of the Coldwell Banker brand. From the kitchen table to the closing table, we deliver excellence and exceed your expectations. 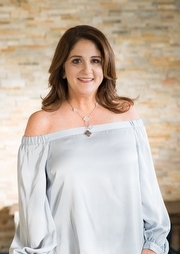 The Rose & Dean Sklar Real Estate Team specializes in residential real estate in the City of Weston and surrounding communities, with expertise in luxury, golf, new construction, relocation, and luxury rentals. In real estate, one size does not fit all. We believe every client is unique and every sales transaction is different. We love what we do and enjoy helping families find that perfect home. When you work with The Sklar Team, we treat you like family. We believe that real estate is a relationship business and not simply transactional. Our desire is to become our client’s source for all things real estate, for years to come. We have been South Florida locals for close to 20 years and understand the ins and outs of the marketplace from Weston to the beach. We work closely with our award-winning team and share an old-fashioned work ethic and are well positioned to help clients with all of the intricate details that make the transaction close. As parents, we understand the needs and wishes of other parents who want to raise children in the ideal setting. We offer our buyers years of experience, expertise and results. Whether writing a contract or negotiating a deal, our clients can always count on superior service and dedication. We listen, we return calls, we stay in touch. We provide thorough market analysis and consulting to our buyer clients. We maintain a large database of floor plans of every subdivision in Weston. We have closed thousands of homes throughout Broward County and are familiar with many neighborhoods, along with all the lifestyles and amenities that go with them. We leverage our widespread connections and resources to solve any issues from recommending a contractor to hiring an interior decorator. Visual is the name of the game in real estate. We provide professional photography and innovative social media marketing to showcase your home in the best light. Aerial shots, videos, print advertising and impactful copy are all tools at our disposal to maximize results. Through Coldwell Banker we have access to 925 websites with international reach. We are locally and globally connected. We price to generate the most interest, most offers and, ultimately, most money for your listing. We leverage our elite status and expansive network to host exclusive, invitation-only broker opens, attended by a select group of top Broward and Dade realtors. We craft a unique strategy for all of our properties. Our aggressive marketing platform includes social media, landing pages, strategically-placed Facebook ads coupled with old-school magazine and direct mail advertising. Using thorough research and consideration of market trends, we direct our marketing dollar with a focus on finding the ideal buyer for the listing. In addition, our team of professional stagers prepare proposals to make the home look its best.